I've always enjoyed Dalí's works, even though as a young 'un I found some of his imagery off-putting or even disturbing. The stilt-legged elephants in The Elephants were equal parts dazzling fantasy beast and almost Cronenbergian biological horrorshow to me, but the mind behind all of that fascinated me and over the years I've read more than a few books, articles & interviews about him. I only mention this so you'll better understand my P.O.V. as someone who is on the Dalí Fandom scale somewhere between More Than Casual and Less Than Obsessive. It is from this vantage that I can tell you Pujol's doc does three things exceptionally well by me. Firstly, it presents the era of Dalí I'm most familiar with (his Surrealist era thru the religious and atomic fascination of his later years) using Dalí's home in Port Lligat as a kind of growth chart, explaining how the building had expanded, absorbing the shacks and cottages around it as time went on until it became a massive estate. The original shack was gifted to Dalí and his wife Gala by a woman named Lydia whom Dalí felt was a kindred spirit and as the couple accumulated money enough to expand, they did. Using the growth of the home, which is now a tourist destination, as the through-line for Dalí's biography was a nice touch, giving the doc much needed structure. Secondly, a lot of attention is paid to Dalí's later years following the passing of Gala, which is an era of his life that, being much less bombastic, usually garners less attention. There were many things I didn't know much about that happened at this point in Dalí's life and hearing testimonials from close friends of his during this time was enlightening. Dalí was crushed by Gala's death and in many ways never truly recovered, though he did make a valiant effort to do so which I find admirable. Lastly, and most impressively, In Search of Immortality pays proper attention to Gala. She was Dalí's wife, of course, and he frequently referred to her as his muse, but she embodied that role in his life more fully than most instances of the title convey. She was responsible not only for Dalí's sexual awakening (which led to as much of his famous imagery as any other stimuli) but also for his monetary successes, handling the business side of things because to paraphrase her, Dalí "just wasn't equipped" for the real world. The doc points out that Dalí was never represented by a broker or a specific gallery, it was all Gala who would organize his shows and find him commission work. It was, by most accounts, as much Gala's successful manipulating of Dalí's public appearances as it was Dalí's inherent eccentricities that helped him grow his brand (as we say now). It was genuinely refreshing to see Gala given so much attention because she's most often depicted, accurately, as somewhat of a mystery. She declined to give interviews for most of her life and rarely appeared alongside Dalí during his own, preferring to keep to herself. Dalí recognized this as a major aspect of her personality, nicknaming the Tower Galata at the Dalí Museum (which he'd already named for her) the Tower of All Enigmas, which I find adorable, fascinating and also intend to steal as a destination in my next D&D campaign. My one quibble with In Search of Immortality is that it's too fast. There's so much raw information squeezed into just under two hours that you almost never get to process anything. One of Dalí's paintings will appear on screen and someone will say "this painting represents such-and-such to Dalí" and then it's gone without explanation. How does it represent that thing? What imagery in it is significant to this analysis? At one point there is a slideshow of photos of Dalí that speeds by like a fan edit YouTube video or a C+ PowerPoint presentation. 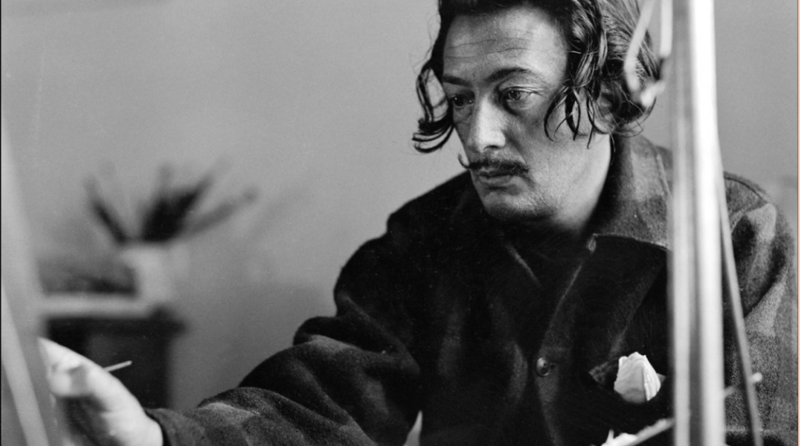 I completely understand that to cover a man's whole life, especially one as densely packed with imagery as Dalí's, then to circle back to talk more about Gala in some depth, then finally to cover Dalí's final years; that's a lot. Perhaps the film would have benefited from a slightly longer run time then? Salvador Dalí: In Search of Immortality is, despite it's perhaps overabundance of raw data, a fascinating and engrossing look at the life of the artist and, significantly, the way in which he shared that life with the most important person to him. Highly recommended.